Earlier this week we were at max capacity around our dining room table. I’ve known B&S for just about all of my adult life, but due to geography we haven’t had a lot of face time in quite a while. They were on what I call their “New England Victory Tour,” visiting family and friends now that S has returned home after several deployments. You know in the old Bugs Bunny cartoons, the car full of hunting dogs that’s just a giant blur of ears and legs and tails and noise as it drives by? This is how I picture their van crisscrossing the countryside, loaded down with two adults, three kids, a college-aged niece, and two dogs. In addition to B&S and their crew, we invited two locals, who are also good friends with the thundering herd. Mrslovey made what was quite possibly the best lasagna I’ve ever tasted. Especially considering as of a month ago, when it was first requested for this dinner, she’d never made one before! To go along with it we had a giant caesar salad, sourdough rolls (that’s another post), rosemary focaccia, and dessert was a decadent trifle. 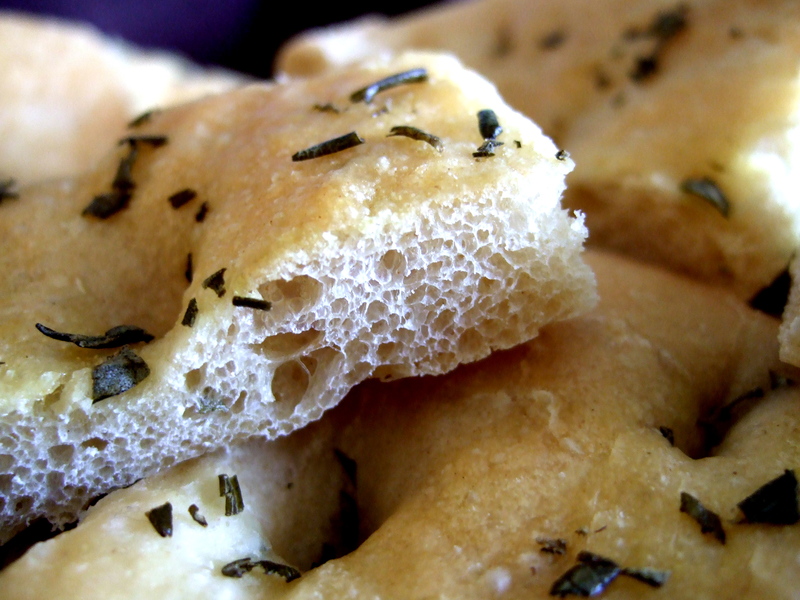 I felt a little silly making both rolls and focaccia, but it turned out to be a good decision – by the end of the evening there were two, maybe three small pieces left in the bottom of the bread basket. 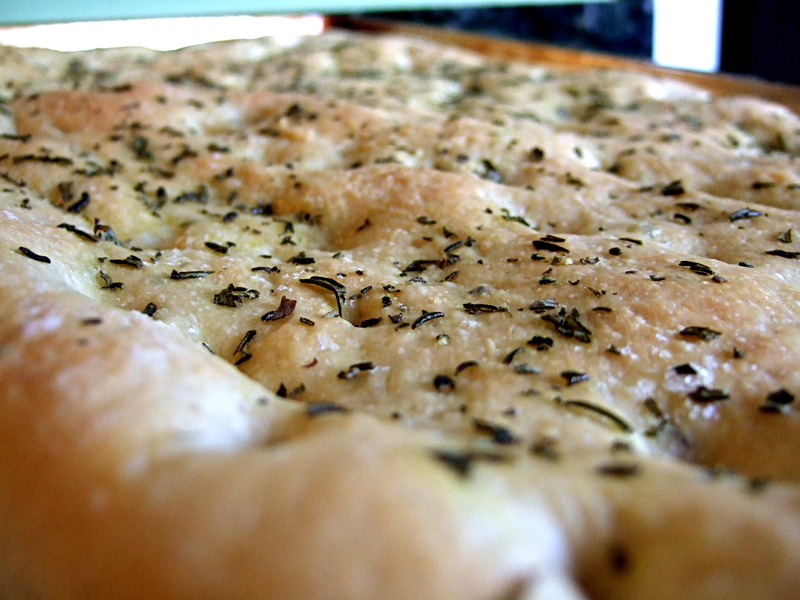 The focaccia is one of the first yeast breads I ever made, and I still turn to it on a regular basis. If you’re hesitant about yeast recipes, give this one a try. It’s super easy, the honey pretty much guarantees a good rise, and the olive oil makes the dough a joy to handle. The recipe comes from Cooking Light magazine. I have the 2003 Annual Recipes cookbook, but I was also able to find it on their website, so I’ll just provide a link here rather than typing it all out. Dinner was a complete success, even with all of the elbows in such close quarters. There were many stories told that should probably never be repeated, good food, good friends, and an overload of laughter. If I had to narrow it down to two words to describe B&S and their family, I know exactly what they’d be: exuberant joy. Everyone should be that happy after over 19 years together.